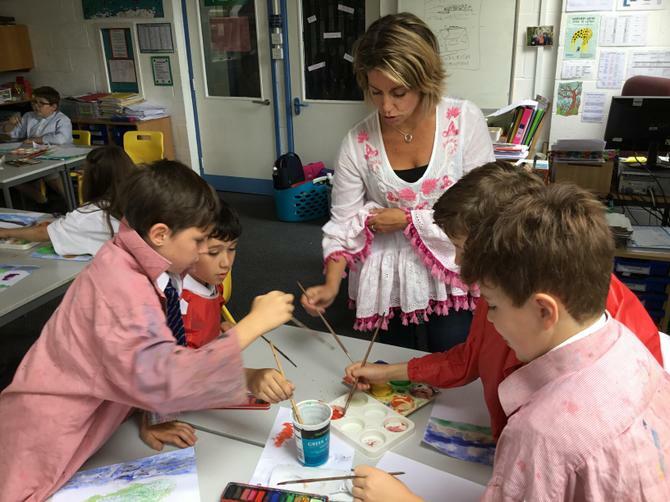 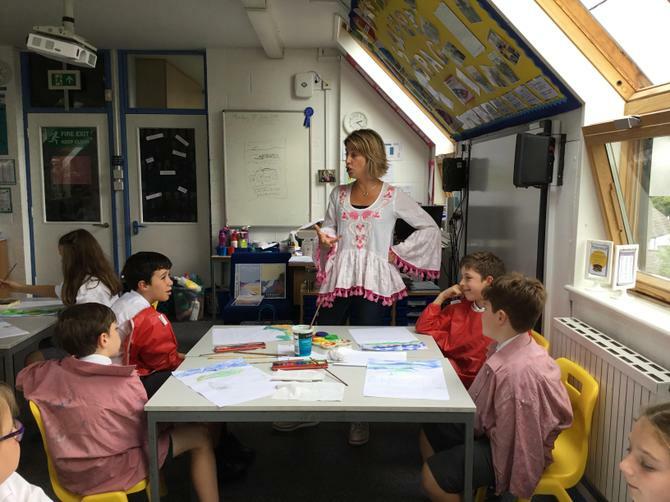 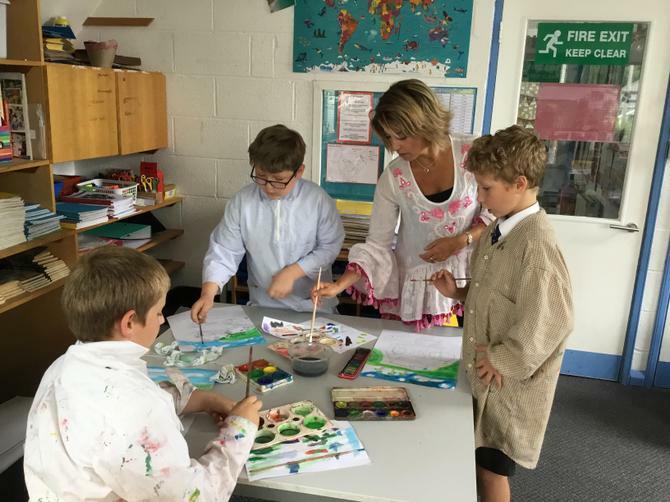 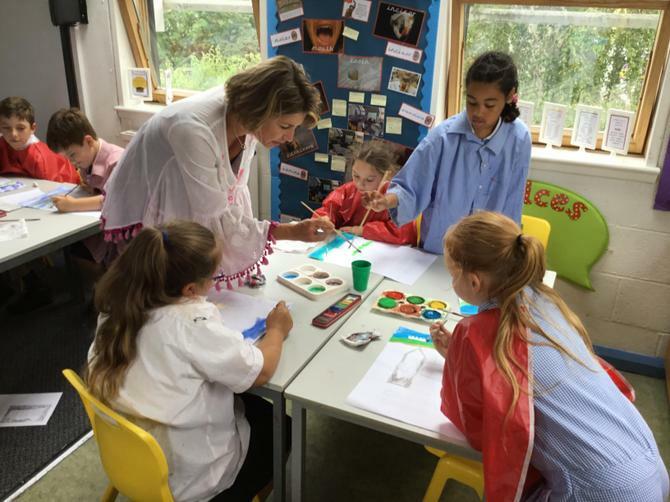 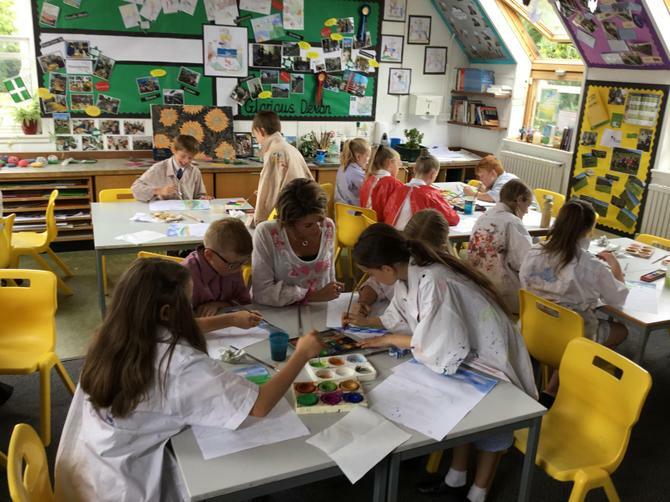 Pupils in Burrator had a fantastic afternoon painting with local artist Becky Bettesworth! 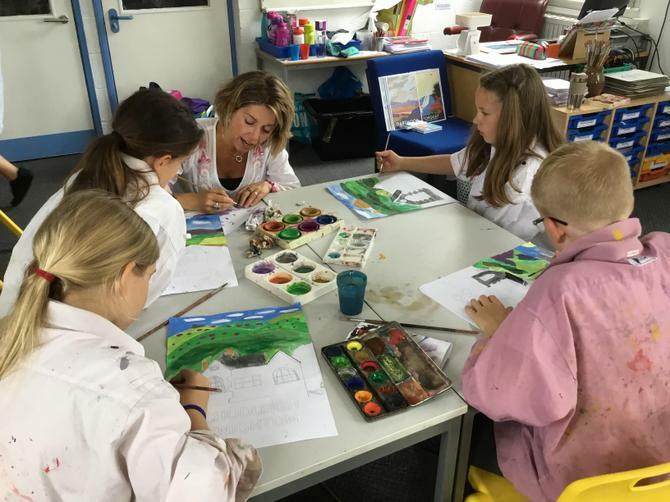 As part of their class topic - 'Devon' children have been studying Becky's work; during her visit she advised children on drawings they had sketched of a view from 'Burrator of Haytor' and assisted with painting technic. 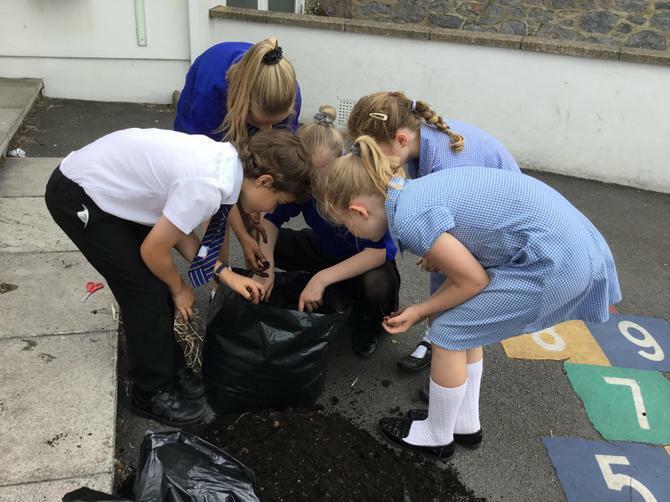 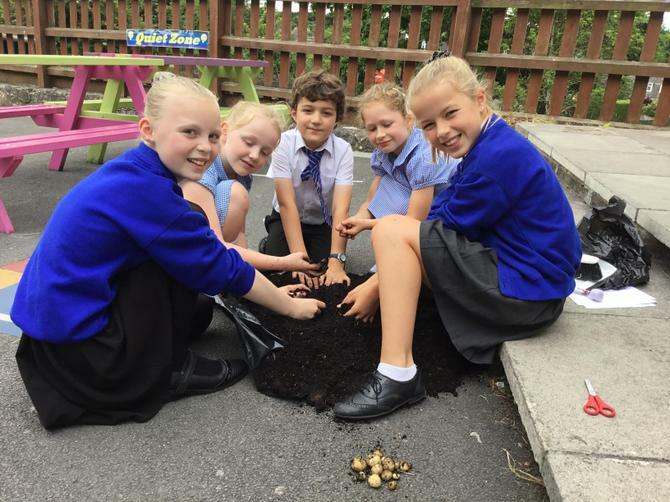 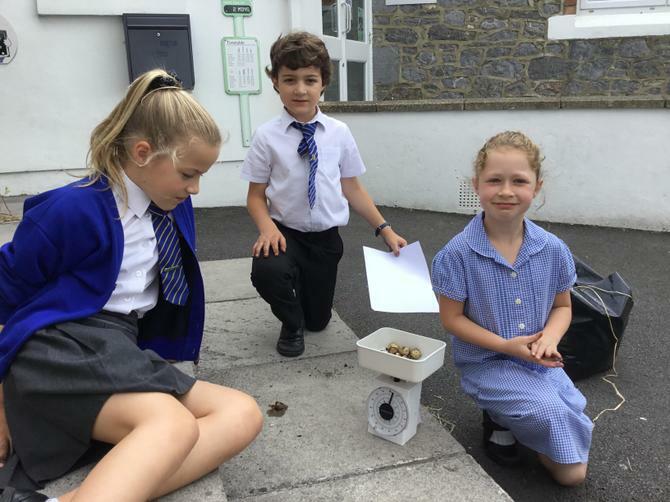 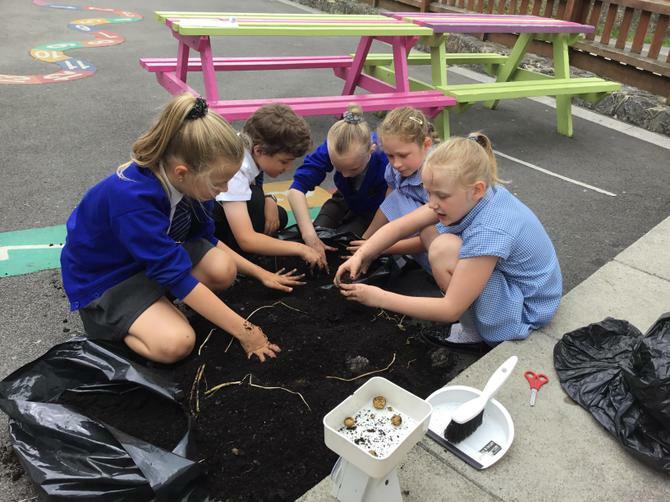 Children have also harvested their potato crop which they planted earlier this term they monitored the time the potatoes took to grow, weighed and measured linking to children's class Maths.